In the mid to late 1760’s John Welsh opened his tavern in western Baltimore County, Maryland; an area which had recently been considered ‘the frontier’. Populated now by several well to do farmers or planters, church services were held in their homes and occasionally by their Church of England pastor from the Garrison Forest Church, fifteen miles distant. 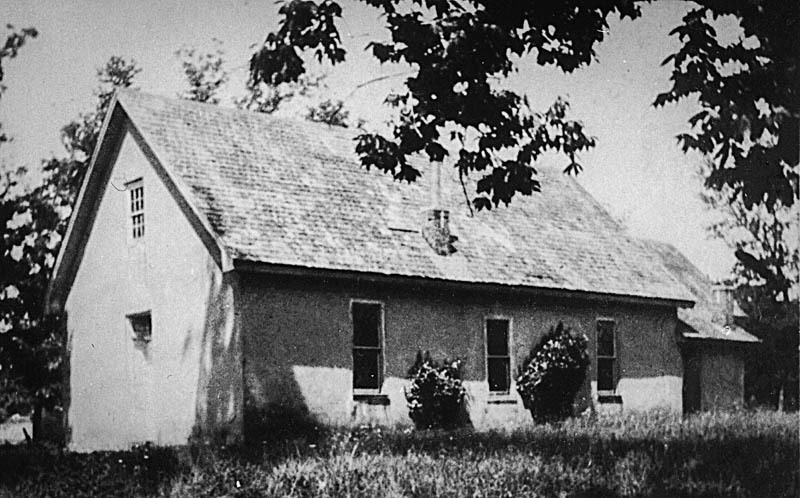 Conversations between Welsh, the tavern keeper and several of these farmers, led to the consideration of donating two acres of land, across from his tavern on the Liberty Road, on which to build “a Chapel of Ease for the residents of Delaware Hundred”. Delaware Hundred was a political subdivision which could muster 100 militiamen in the time of war or Indian attack. A Chapel of Ease was a “convenience church” served occasionally by local lay readers. Such a chapel was customarily surrounded by a burial ground. With the disruptions of the Revolutionary War, just five years after the Chapel of Ease was built, its Tory Pastor fled to England. The problem of concern over loyalty to England among clergy and members made the Church of England fall into disfavor. Between 1807-1815, the building was used largely by Baptists and the new Methodist society which was sweeping across Maryland like wildfire. It was even used for a school. By 1820 and empty of worshippers, a neighboring farmer kept his livestock, sheep and cows in the small stone building and it was allowed to fall into ruin. . Even after the establishment of St. Barnabas Church in Sykesville, the Warfield family liberally supplied funds to keep Holy Trinity in repair as well as beautifully decorating St. Barnabas with stained glass windows. Services were continued at Holy Trinity until 1923 and St. Barnabas became the parish church by default. This was the state of the overgrown cemetery in 1990, when a retired Episcopal minister, Jim Purman, horrified at the condition of the cemetery began clearing it and uncovering stones. He began to get others interested in the project and in 1991 founded The Friends of Holy Trinity Cemetery.